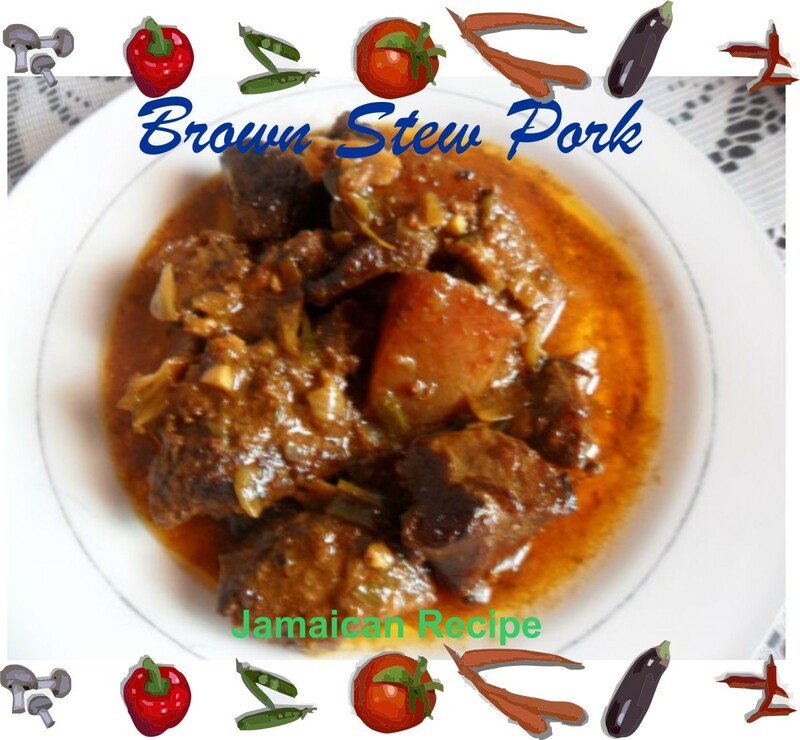 Jamaicans love pork, and the second most popular way to have pork is stewed. We like our meats dark—whether it's grilled, broiled, or stewed. It is customary to use a darkening agent on the meat to give it some color. The other thing to do is to brown the meat, then stew it in its sauces. The pork stew recipe below can be done how you like... so long as it's dark and has a gravy when you are done, then you have your stewed pork. 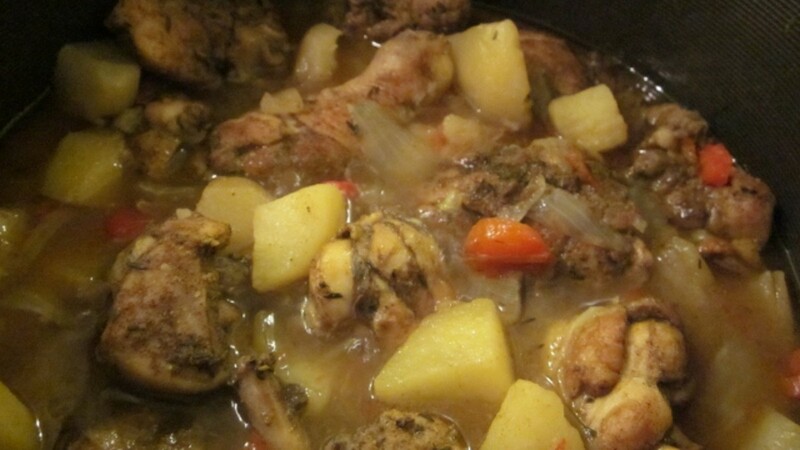 Jamaican style pork stew is different from the European or American version. 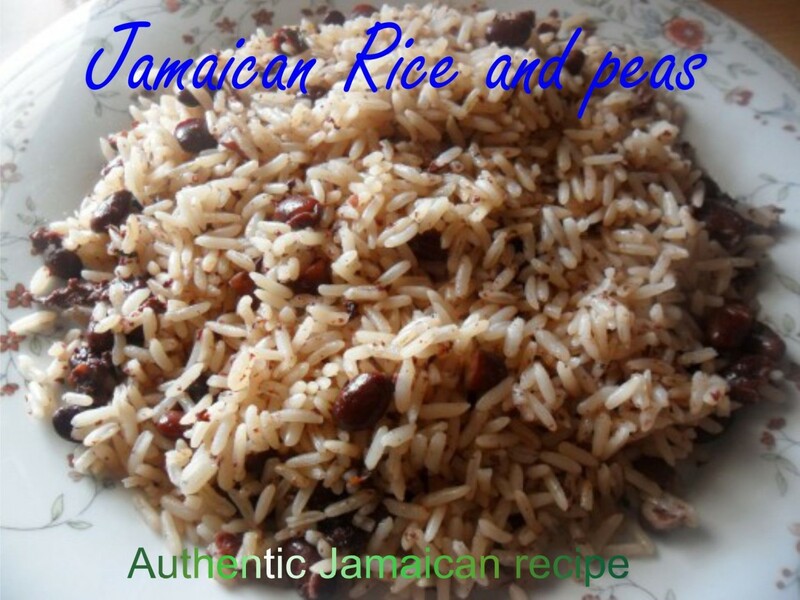 I serve this with our traditional rice and peas and a salad. 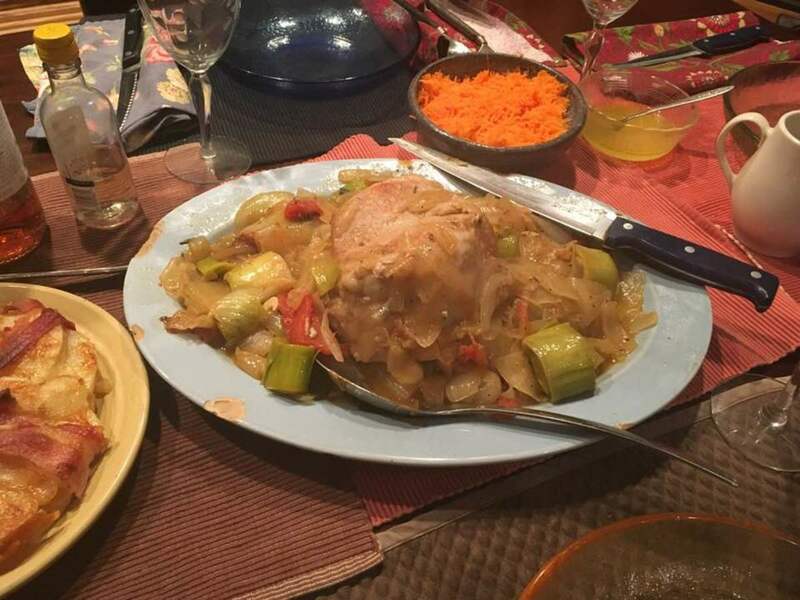 Whereas the American pork stew has lots of vegetables and potatoes that make it a wonderful, hearty meal, you have to serve your pork as a meat dish here in Jamaica. See below for additions. salt is optional because the seasonings are already salty, I omit the salt altogether. You can taste the sauce and adjust the salt to your taste. 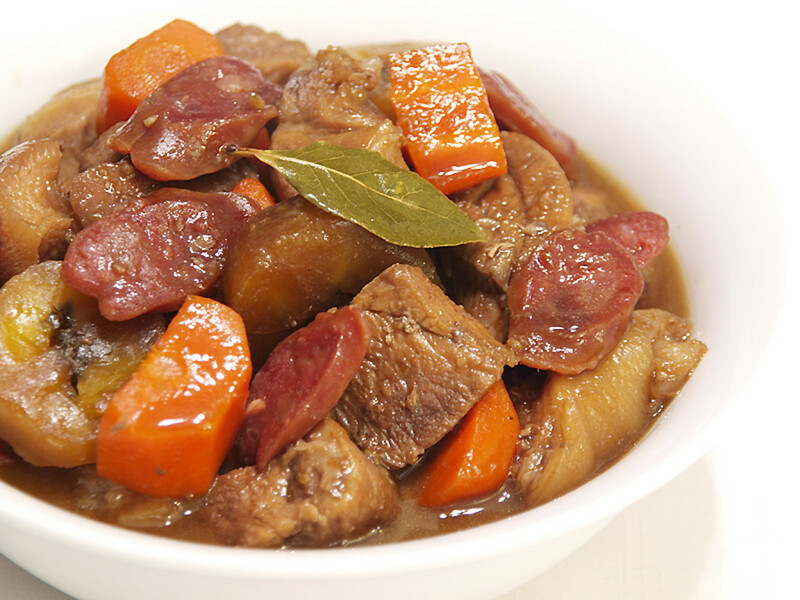 Most households will add something to their pork stew other than the plain pork. 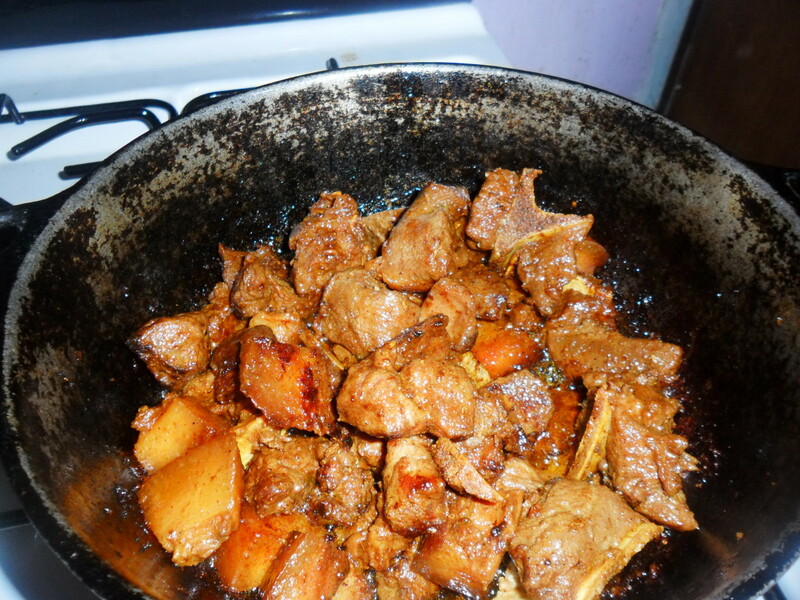 Here are what Jamaicans will add to their stew pork. You may add your type of vegetable to your stew but you must remember that this dish is not a one pot meal and will be served with a starch and salad. 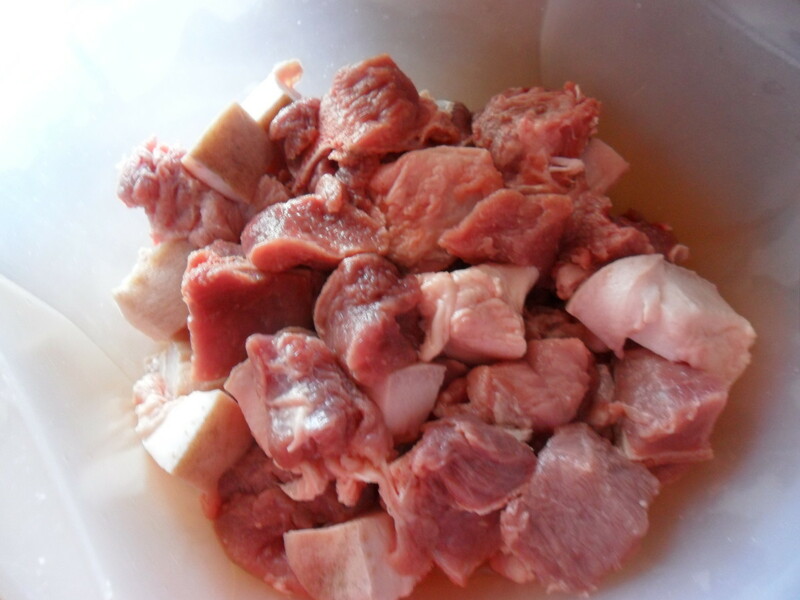 Before you cut up your pork, I recommend rinsing it in some vinegar or a lime juice solution. Pat dry your pork with paper towels. Cube your meat and set in a bowl. To the bowl, add all other ingredients except for oil. Marinate for at least 2 hours before cooking. Best to do this overnight. In a dutch oven, heat oil on high until almost smoking. While oil is heating, shake off scallion, onion, garlic, and all seasoning pieces. Reserve. Add all pieces of meat to hot oil and cover. Keep turning over the meat to ensure all sides get browned. Let pork brown covered until all pieces are nice and brown. Keeping the meat covered ensures that the meat does not dry out. 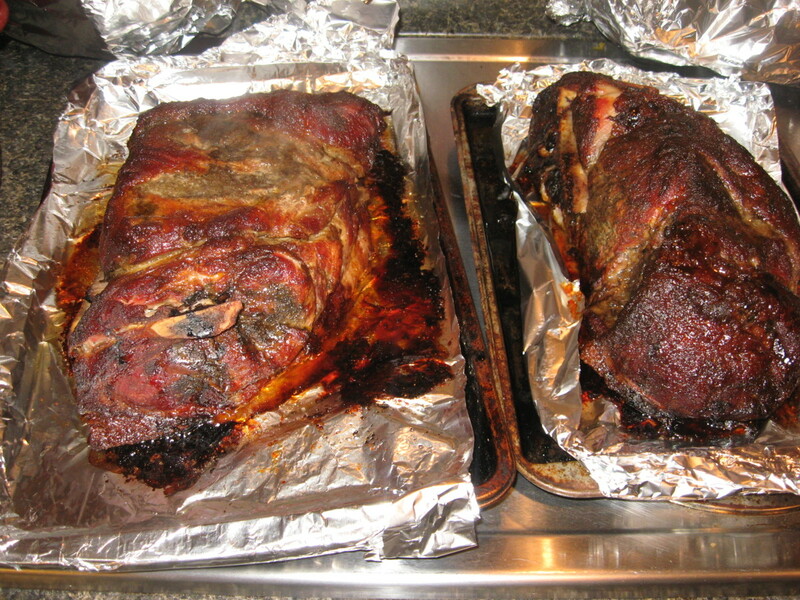 When the pork is nice and brown, drain any excess oil, add a cup of water, and reduce flames to medium. Each time the water evaporates, add a cup at a time until meat is tender. Keep checking the meat to make sure you don't over cook it. You will know when the pork is tender when the meat starts to fall away from the bone. When meat is tender, add reserved seasoning and a cup of water if needed. Reduce flames to medium low. Cover and let simmer until your sauce is nice and consistent to your liking. I like my sauce medium-thick, but you may thicken your sauce to your liking. Taste and adjust salt and pepper. Turn off flames when your sauce is ready. There are only a few things consistent with your Jamaican pork stew, and that is the color, onions, garlic, scallion, thyme, ginger, and pimento. Supermarket Browning: Browning that is sold in the supermarkets and used mainly for baking. It is really just a coloring agent, as it doesn't add much flavor, and it's quite thick. For 2 lbs pork, you should only use 2 drops. Use a syringe or teaspoon to add this to your meat or you may run the risk of adding too much. Sugar Browning: This is totally home made. I hate the taste of the commercial browning so I make my own. It's not as dark, but it tastes better. I add 3 tablespoons sugar to a small saucepan and let that boil until the sugar gets chocolaty dark and starts to give that burnt smell. Do not stir yet but make sure all the sugar is boiling. Then add four tablespoons water. Swirl sauce pan, then add another 3 or 4 tablespoons water. Let it boil a little, then stir to dissolve any sugar that is sticking to the bottom. It may take awhile to get the hang of it, but you'll get it with practice. Your browning should have no lumps or burnt particles in it, and it should be the consistency of maple syrup. If you see black stuff at the bottom of the pot, then it's likely your browning is too bitter. Make your browning a day before needed so you are sure it turns out okay. Add a teaspoon of this to your meat and store the balance in an airtight bottle or jar for future use. Teriyaki or Worcestershire: You can also use Teriyaki or Worcestershire sauce as well. These will give unique flavors. A pork spice or bouillon. Instead of water to make the gravy, you may use meat stock. Whatever additional spices you might prefer. As I mentioned, flavor your pork your way. But be sure to keep the basic fresh herbs intact (the garlic, onion, thyme, pimento, and ginger are a must). I tried this and added pineapple and spinners (flour dumplings), and the pineapple juice instead of stock. Delicious! Hello Lotoy, good luck and Happy New Year to you! Thanks for this recipe. It looks pretty straight-forward. I'm going to make it for my boyfriend tomorrow and update you on how it goes. 4 years ago from An undisclosed location. Hello Wordwithlove, thank you for stopping by my hub. Yes, you can substitute the pork for beef or chicken in this recipe. I am glad you like the Jamaican flavors, I hope you like the chicken dish too. Great recipe, Cardisa. I have a thing about cooking international foods and have pulled up recipes for Jamaican chicken using the jerk seasoning and some of the ingredients you have listed here for pork. Since my family eats only chicken and fish, I won't get around to this fine recipe, but I sure will try it with chicken instead. I love the strong flavors of Jamaican food! You can go to my Hubpages profile page by clicking my name beside my photo (top of page), then click the follow button at the top of the page. 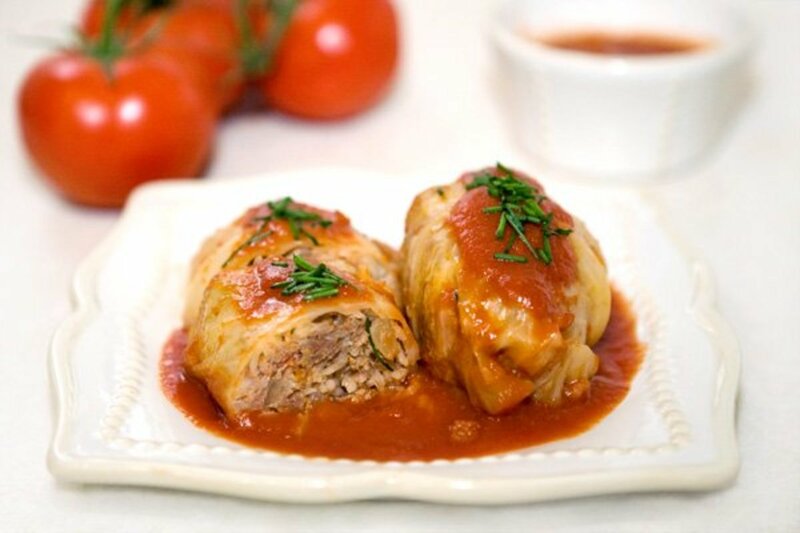 You can also follow my blog here by subscribing http://www.caroleesbestrecipes.com/. Hello Byshea, I hope you love it as much as do. Please come back and let me know how you like it. Thanks for stopping by. I have to try this recipe! It looks absolutely delicious and not that hard to make. Pork is one of my favorite meats. Hi Wesman, you need to get cooking! You can stew 'em, roast em' or just plain jerk 'em! Nice to see you. I have a nice jerk recipe if you like. Wilfai, I totally forgot about that method! What I usually do is make enough to last a while that's why I haven't done it your way in such a long time. I agree that it is better than bottled browning or salty soy sauce. Hi Epi, your presence on my hub make me want to cook lots of yummy things just to have you stop by...lol....Thanks for being my faithful friend. ...there is only thing more yummy than this delicious looking recipe and that is kissing your hand sweet Carolee and saying thank you for the memories of being my friend and esteemed colleage - don't worry I am not going anywhere - I just like to check in with you - so I can truthfully say I was hanging out with a beautiful woman today. 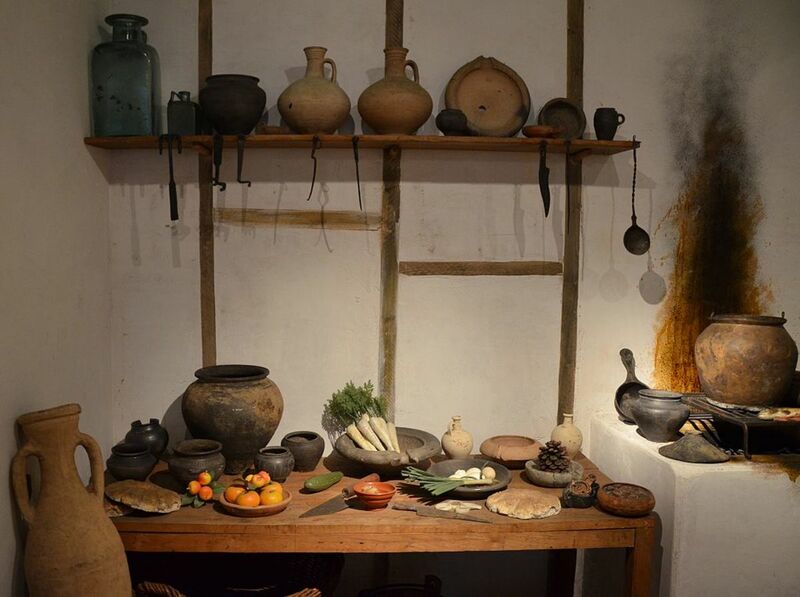 Thank you Teaches12345, Jamaican cuisine is strongly influenced by the Spanish as well because the Spaniards were the first to colonize our country. This looks really good. I find this similar to a spanish dish we make with pork and so I know this will be a hit in our home. I was thinking about the darkening agent as I read through our recipe, glad you posted it at the end. I like your sugar recipe for it, but I may just use a bottle of Teriyak. Voted up and across. Thanks Ruby, I hope you will like it. Let me know how it turns out. I love pork, but i never made a pork stew. It looks delicious. I will try it. Thank you. Thanks Nancynurse, have a great day. I am not a big pork eater but this looks like a great recipe. 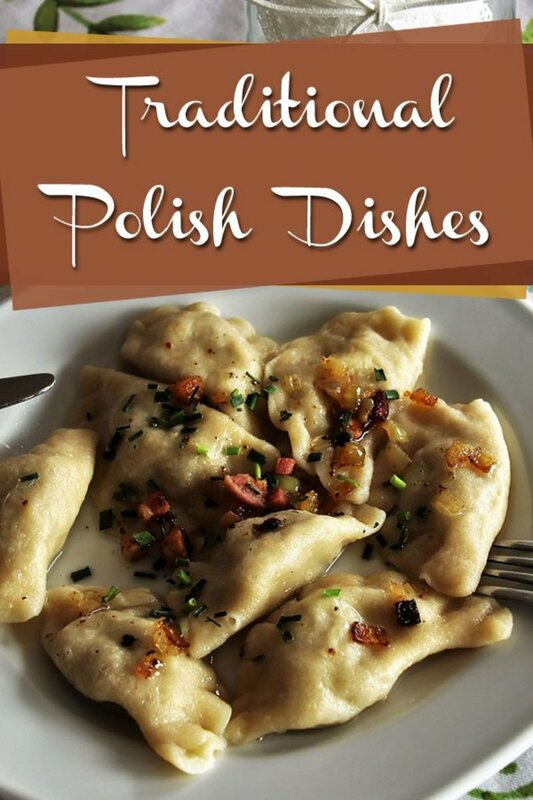 Hi Rjsadowski, I so pleased that you like my recipe. I hope you get a chance to try to let me know how you like it. Hey Billy, if youlove pork you will love this recipe. Despite all the ingredients it is pretty easy to prepare. Your recipe sounds very tasty. I never met a pork stew that I didn't like and yours is no exception. There are certain foods I will eat no matter how they are prepared...chicken being one of them and of course pork! Great recipe, one we will be trying. Pork can be done the same way too. Wow, this looks so tasty, Cardisa. My mom never made stew pork, only pork chops, cook down with gravy. How r u doing today?